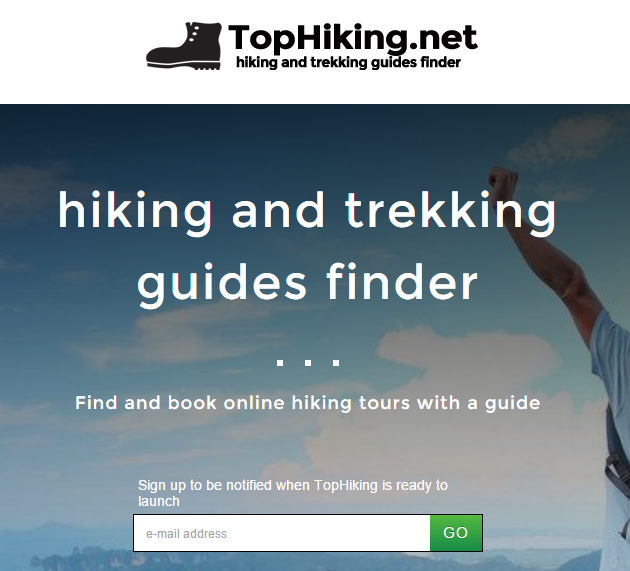 Launching soon, TopHiking.net is an online guides finder service that enable its users find and book hiking and trekking tours with a guide on any place of the world and is founded by Sergio Garcia Diaz. With over 34 million participants in hiking in the US alone, the service offering by TopHiking.net is well positioned for user uptake. Want to get in contact? Email info@tophiking.net.